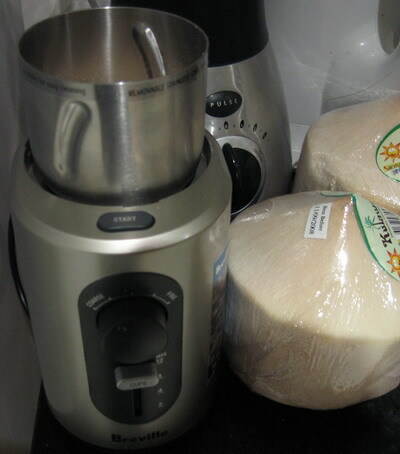 I already have a juicer & blender (that both see a lot of use). Between them they already take up half my bench space. I have room for a chopping block, and that’s it. So what’s a guy to do? 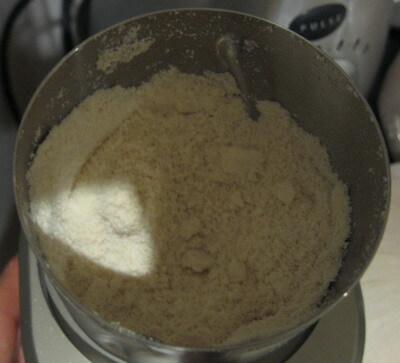 It’s a coffee grinder (not that I drink coffee, but hey). There’s a drinking coconut next to it for scale. It’s TINY. Amusingly, once I got it home, the instructions explicitly said “Do NOT use this for nuts”.. but hey, yah gotta try, right? 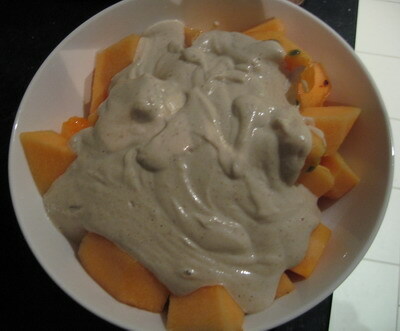 Melon, passionfruit, and cashew nut cream (cashew nuts + some chopped dates + water -> blender). Now true, it’s really only going to work for small recipes – but I’m generally only uncooking for one, so it’s pretty much the perfect compromise – at a fifth of the cost, and a tiny fraction of the space.